we took the rzr out today for a little ride and went in places no sane person should ever go. we were looking for a little adventure and we found one. 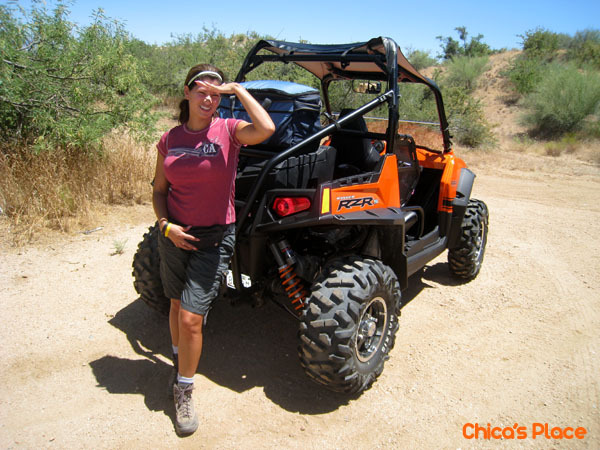 while drive down a wash we saw a small trail and decided to follow it but it was a little too narrow for the rzr and i got hit in the arm with a choya cactus and it went everywhere! i hate choyas! it’s a dirty toy but it’s alot of fun!